What is the best phone number search? Let’s face it, a quick Google search for “best phone number search” returns over 3.4 billion results. If you are like me, you probably don’t have the time to go sifting through result after result until you find a reputable site that you trust will give you the information you’re looking for. Receiving unwanted phone calls and text messages can be extremely frustrating. Couple that with an endless amount of reverse phone number search websites that claim to be “free” until they ask for credit card information and things end up getting even more frustrating. Is your reverse number lookup free? Here at Shortcodes.org we believe in doing one thing and doing it well. We offer a totally free reverse phone number search that is powered by our community of users. When people receive unwanted text messages and phone calls from suspicious phone numbers, they reverse lookup the phone number on our website and leave a report with any details that they have. Since our information is community aggregated in real time, we always have up to date and accurate ownership info that no other site can even attempt to reproduce. We believe in offering our services available on shortcodes.org at no cost to our users because we believe that this information should be publicly available. You shouldn’t have to pull out your credit card just to find out “who is calling me“. The majority of people that are performing number lookup searches are frustrated because they are being charged extra fees each month, adding additional costs on top of that just doesn’t make sense to us. 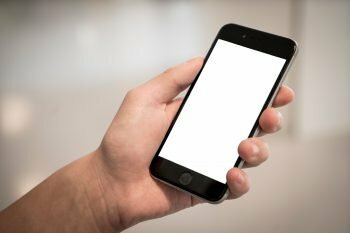 Why am I receiving unwanted texts and calls? People receive unwanted text messages and phone calls for a variety of different reasons. There is no definitive answer to this question that will ring true for everyone. Some scammers and spammers will buy lists of phone numbers that they will then use to automatically dial on a massive scale. If you answer the phone call, their system will detect that your phone number is active and make a note of this. Often, the spam calling will then increase and phone calls will begin to come in from multiple different numbers. As frustrating as receiving unwanted phone calls may be, the key to fighting these obnoxious spammers is to remain level headed and know your options. Nowadays, most smart phones have the ability to block unwanted calls directly within your phone’s address book app. Depending on the type of device that you have, you can do a quick Google search for “how to block phone numbers” and just add your specific device to the end of the search query. While this may not stop spammers who can change their phone number by spoofing, it is a good first step to stopping unwanted calls from phone numbers. Other companies have far more intricate and nefarious methods to getting phone number information to send their promotional text messages to. One of the most common complaints on Shortcodes.org is the dreaded unknown fees added to a cell phone bill at the end of the month. “Why was I charged this amount of money from this company on my bill? I never signed up for this.” Thousands of users on our site each month ask this question and it can happen from a variety of reasons. Do note that this is illegal and companies that are automatically charging you without your consent are not following industry regulation. You must opt into these premium rate services knowingly and willingly, otherwise companies are performing some shady practices. We have an article covering how to opt out of premium rate text messaging services if you would like additional information on the process. We hope that you have found the information in this article helpful and if you have any questions at all, please feel free to reach out to us and let us know. To help spread the word, please consider sharing us to help others know about the best free phone number search too. If you are receiving annoying text messages or phone calls, remember that you are not alone. Hundreds of thousands of people visit Shortcodes.org every single month with the same problems. As a community, we will continue to work together to fight spam and make it known which companies are not welcome in our phone books. Marie on 69005 Short CodeI got this message from 69005 1.35 am , DCB:Y3890K455SFH14JBQ857BB9PHEM91K6OO Any ideas? ?